In this modern world of rapidly changing technologies and the very best product development research, I recently came across a situation that bought a wry smile to my wrinkly old face. It involved some very basic raw materials, technology that was initially developed 5,000 years ago, and was in constant use (in combination with modern additives) up until 25-30 years ago. In some of the bigger industries the base material is still used in huge quantities but I, like a lot of other people, thought it had disappeared off the paint market. For those of you who hadn’t guessed I’m talking about bitumen (or asphalt if you prefer). The situation came about when we were contacted by a property manager to inspect a large flat roof area on a multi-storey building, that had been erected about 25-30 years ago. Apparently the roof was leaking and the tenants were grumbling. The property manager inspected the roof and came to the conclusion that something was amiss. We had done some work for him over years and when he recalled that roof restorations are one of our specialities, he called us in to have a look. Our inspection showed that the roof had been painted with a silver coloured coating that had “crazed” badly over the years. This allowed rain water to penetrate down through the paint system, finding its own level through the ceiling and other entry points into the building below. The whole situation had been compounded by ponding water resulting from a very low fall of the roof line. The owners of the building wanted a cost-effective solution, short of replacing the whole roof. 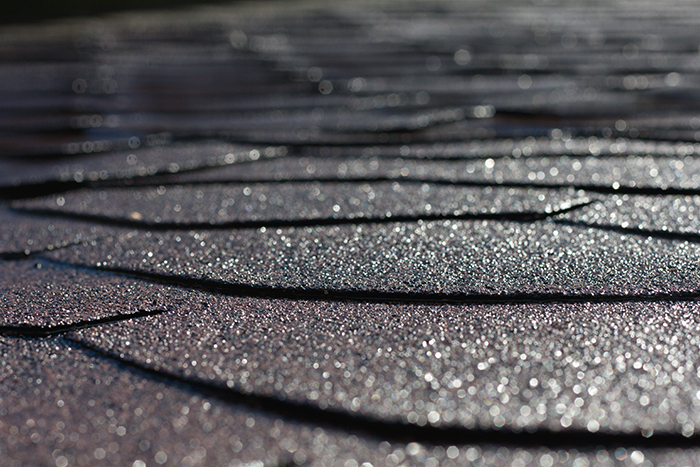 The first thing we did was identify exactly what type of coating had been used on the roof. According to our coatings expert, it was almost certainly a solvent based bitumen coating with aluminium flakes. These were used extensively as water proofing coatings at the time the building was finished, but have now fallen out of favour. The chances were that this was still the original coating applied to the roof. Complete removal of 1200m² of old brittle bitumen paint and recovering with Butynol. Re-lining the whole roof with marine ply on top of the existing coating and then painting the ply with acrylic roof paint. This re-lining would have increased the fall of the roof, solving the ponding issue at the same time. Spraying a high build membrane coating over the existing paint. There may have been inter-coat adhesion issues with this solution and the membrane would have to be able to take “ponding” water. After making further enquiries, the second option above was rejected as it involved getting resource consent (believe it or not) as it altered the structural integrity of the roof. While discussions were still under way between all the concerned parties, our coatings specialist tracked down a source of a thick fibre reinforced bitumen filler, and a bitumen modified Gilsonite aluminium finishing coat. This was the perfect solution as the filler could be used to repair the ‘crazing’ in the existing coating, then spread over the entire roof, allowed to dry and then finished with the aluminium top-coat. 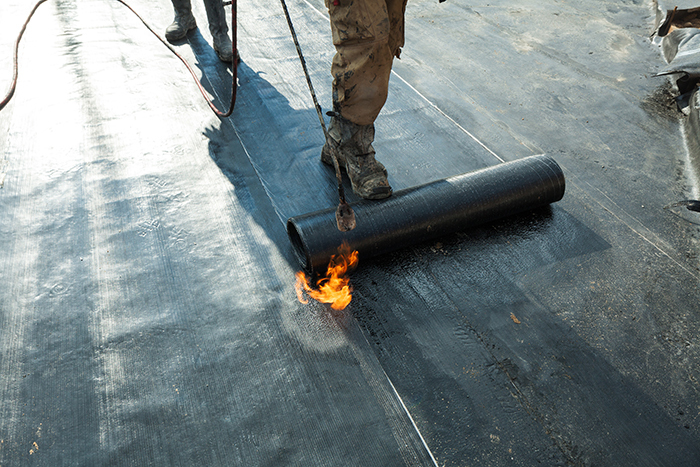 There would be no inter-coat adhesion problems (like to like) and the bitumen is waterproof enough to withstand the ponding water. The clients agreed, the quote was accepted, work was completed and the client is ecstatic with the outcome. We were amused… using old technology with a modern solution certainly brought a smile to my face. Problems come in all shapes and sizes, especially when it comes to building maintenance. If you have a problem with your buildings, no matter how large or small, give us a call today on 09 262 1696, or drop us an email.